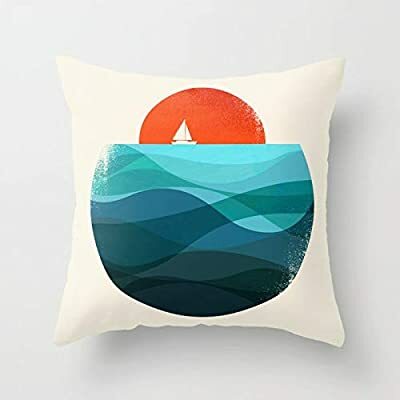 The material of this pillowcase is top quality cotton and linen, durable and environmentally friendly which makes you feel comfortable. The zipper glides smoothly and allows easy insertion and removal of pillow inserts, can unpick and wash. Quantity & Material: 1 removable accent decorative throw pillow cover (Note: Only Cover, and INSERT NOT INCLUDED).It is made with medium weight, high quality cotton canvas for comfort and durability Size, Color & Design: 18"x18" Unique Design Only In Our Store Feature: Soft, Textured, made with color matching invisible zipper and allows easy insertion and removal of pillow inserts.All fabric edges are sewn with zigzag overlock stitch to prevent fray and ensure durability COVER ONLY (INSERT NOT INCLUDED). imported. Washing Instruction: Machine Washable / Dry Clean. 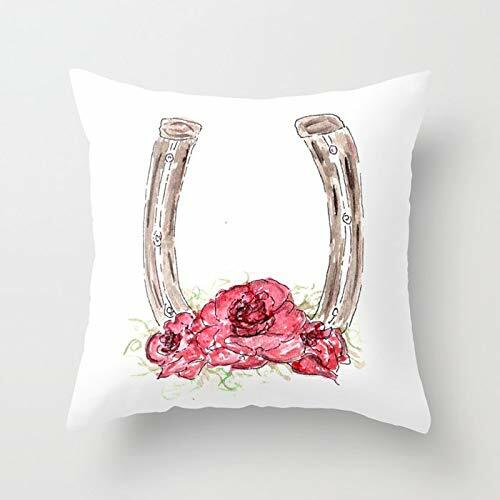 MULTIPLE PURPOSE: This pillow cover is great for your bed room, living room, dining room, study room, bed, couch, soft, chair, floor and so on, which will be a good decoration.